Steven S. Isono, M.D. Certified by the American Board of Orthopaedic Surgery and specializes in Sports Medicine as well as surgery of the knee and shoulder. Steve has his roots here in the East Bay as he grew up in the Lakeshore District of Oakland. He attended Lakeview Elementary, McChesney Junior High, and graduated from Oakland High School in 1974. During his junior high and high school years, he played basketball and baseball, ran Track and Field, and earned All-State honors in Gymnastics. He was the first Oakland High School student to attend Harvard University and graduated in 1978 with Honors in Biochemical Sciences after writing his Thesis on Erythrocyte Microstructural Changes in Sickle Cell Anemia. He attended medical school at Northwestern University in Chicago, Illinois, continued research with Liver Cancer and subsequently received his M.D. degree in 1982. 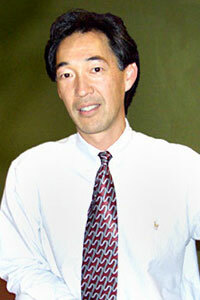 Incorporating a unique opportunity to study Microsurgery in Japan for six months at the Kyoto University Hospital and the Tokyo Metropolitan Hospital, Steve then completed both his Internship in General Surgery and Residency in Orthopedic Surgery at the Stanford University Medical Center in 1987. He received his initial Board Certification in 1989 and has been re-certified in 1999, and 2009. Steve also received a Certificate of Added Qualification (CAQ) in Sports Medicine in the inaugural class of 2007. He is a member of many professional societies including the Association of NBA Team Physicians, The Olympic Sports Medicine Society, the American Academy of Orthopaedic Surgeons, The American Board of Orthopaedic Surgery, the American Orthopaedic Society of Sports Medicine, the Arthroscopy Association of North America, the California Orthopaedic Association, the Western Orthopaedic Association, the American College of Sports Medicine, and the Alameda-Contra Costa Medical Association. Steve serves as a Team Physician for the Golden State Warriors of the National Basketball Association (NBA), four Olympic Teams (USA Triathlon, Judo, Taekwondo, and Track and Field), and for Laney College. He is also affiliated with the World Triathlon Championships in Hawaii, the Dew Tour of Action Sports, the Association of Volleyball Professionals, and also served as a Team Physician for the World Games of the Special Olympics. True to his roots, Steve established a Non-Profit organization in West Oakland called the One Nation Project which mentored Kids-at-Risk. Out of the eleven kids in his “first class”, ten kids not only graduated from high school but also graduated from college. His current project is a second Non-Profit organization called Civic Assets which assists Veterans from the Iraq and Afghanistan Wars with Post-Traumatic Stress Syndrome (PTSD) and Traumatic Brain Injury (TBI) to transition into society utilizing education, job training and placement. Steve also coached basketball at the high school varsity level for fifteen years and can proudly say that one of his players was drafted in the First Round of the 2012 NBA draft after having a stellar career at Oregon State University. He also coached a basketball team for the Special Olympics called the Richmond Buffaloes. On a personal side, Steve has been married for 30 years to his wife, Liz, who is an Occupational Therapist specializing in kids with Autism and Learning Differences. He has three grown children, Michela and Matthew who are currently working in San Francisco, and Ryan who is working in New York City.